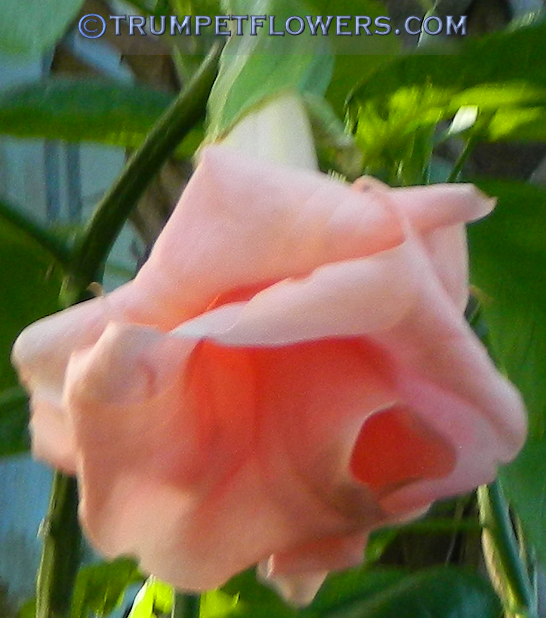 Using a front on angle, Angel Trumpet Double L Amour appears as a rose bloom. 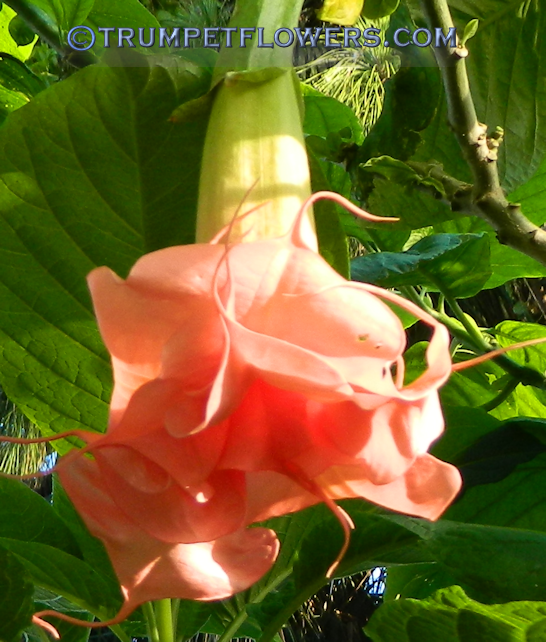 Double L&apos;Amour Brugmansia in mid-March, 2015. Double L&apos;Amour was created by Anne Kirchner-Abel. 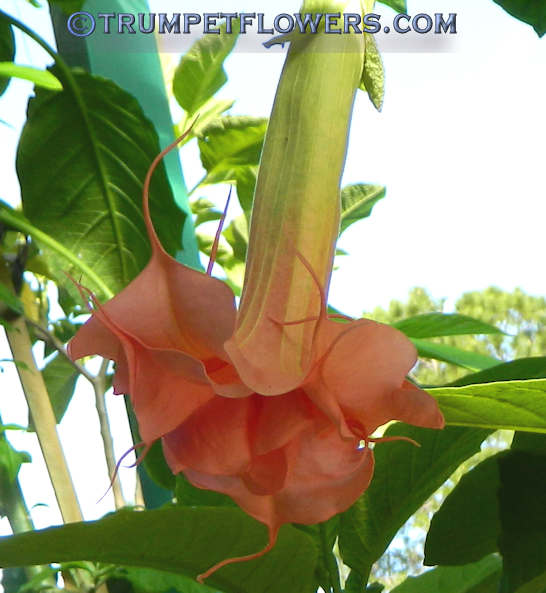 This entry was posted on March 12th, 2015 and is filed under Brugmansia Gallery.